If you're looking for a distinctive floor take a closer look at stone floors. Mosaic tiles, large natural stone slabs, classic marble, beautiful terrazzo... there are so many variations of stone floors! Not sure you have the budget for a natural stone floor? Good news! Luxury vinyl has extremely realistic options to consider. The look of stone floors is timeless and unique. Probably the biggest benefit of natural stone tile is its unique appearance. As a natural resource, stone inherently has slight variations in shading and color. Those natural differences come together to make a truly unique and beautiful floor. Stone tile also works just as well in a classic decor as a contemporary room. It's a versatile, durable floor that really adds value to your home. Learn more about stone tile. 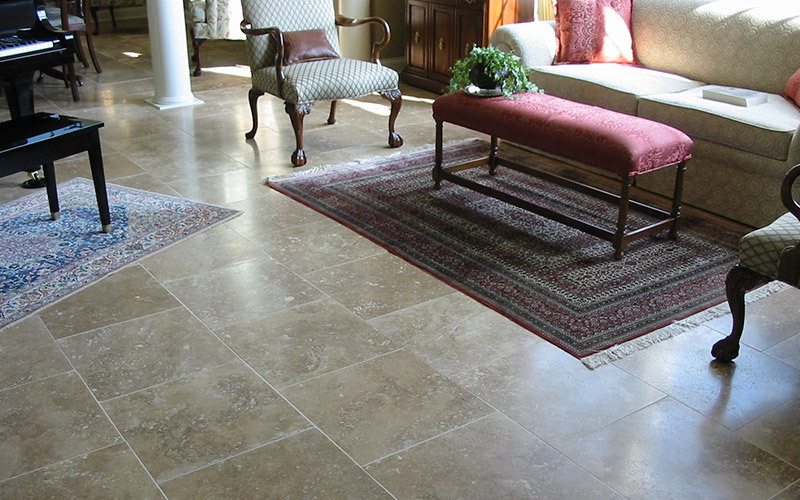 Today's luxury vinyl tile gives homeowners the look of natural stone at a fraction of the cost. But the benefits go far beyond price. Luxury vinyl is created using high-definition printing so that it has a highly authentic appearance of any type of stone. As an added bonus luxury vinyl also hides imperfections in sub floors and is waterproof. Extremely durable, easy to clean and waterproof, luxury vinyl is the perfect floor for any room in your house. It’s particularly popular for basements, kitchens and bathrooms. 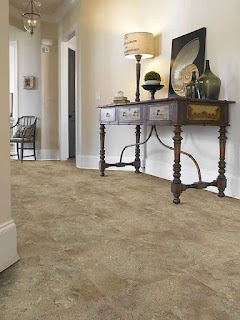 And because it’s softer underfoot than traditional tile, it’s comfortable whether you’re standing in the kitchen cooking dinner or entertaining in your basement. Learn more about luxury vinyl. At Indianapolis tile store Kermans, we know that selecting a floor is about more than just budget (though that's certainly important). It's about finding a floor that reflects your style and matches your lifestyle. When you have a specific look in mind - come to Kermans and let our in-house designers help you find the perfect floor for your home, lifestyle and budget. Their services are just one of the advantages of shopping at family-run Kermans.